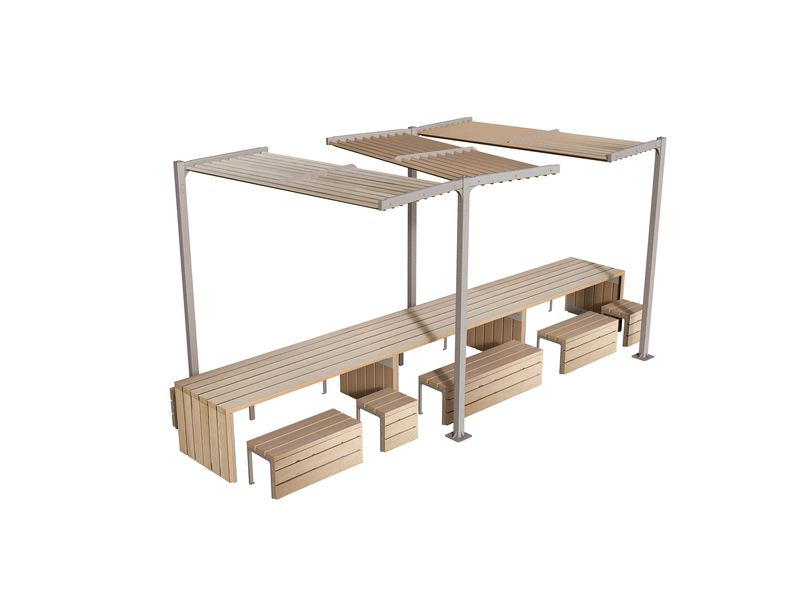 Link Picnic Seating solution has been developed to encourage socialisation in public spaces creating time for conversation and interaction in the open environment. 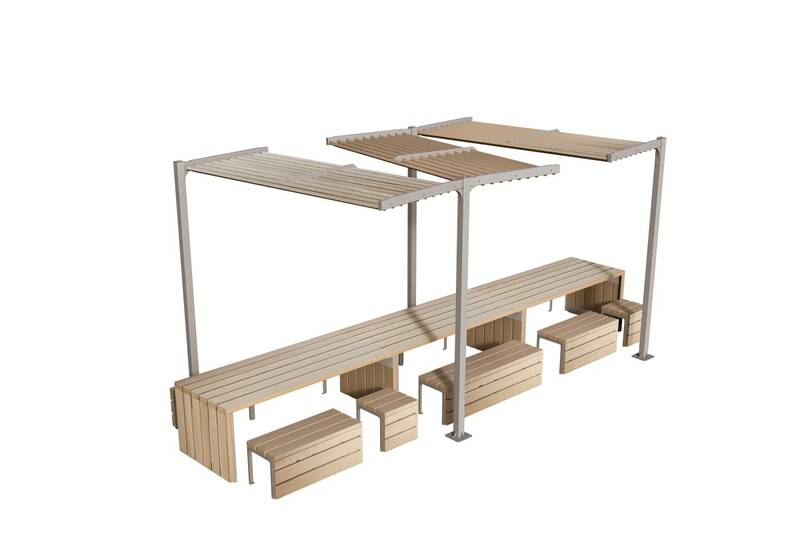 The picnic / street style table has unlimited possibilities and can be extended to any required length. The standard table length is 2 meters long and any number of 2-meter extensions can be added as required. 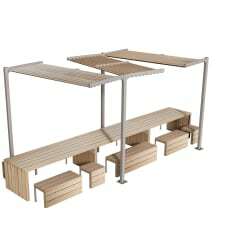 Link benches can be placed freely around the table as desired on either side, with the possibility to leave clear access for wheelchair, pram and/or pushchair users. Link urban furniture is ideal for friendly towns, cities, business and retail parks looking to create more sociable seating environments where people can sit, make conversation, take a coffee break or lunch break. Option of Link sunshade canopy also available.